Please, confirm the booking by e-mail with 30 percent of advance deposit of your total tour value. You have to pay the stated percent of amount along with clear scanned valid passport copies of each member joining the tour prior to at least 60 days of your departure. On receipt of your booking e-mail and advance, we, Wilderness Excursion Pvt. Ltd will confirm your booking and send you a confirmation email with the details of your booked package accordingly in advance. You will have to clear your rest of the value in Kathmandu prior trip departure. You can pay us through money transfer to our bank account which detail is provided above. Bank to bank transfer (Bank SWIFT) is fastest and reliable. Also you can pay us or book online. Just click on pay online icons in page footer and it will direct you in online payment portal for customized trip booking. ATM machines are available in many places around Kathmandu valley, Pokhara, Besisahar and in Lukla. You will also easily get money exchange centers which will exchange your currency in Nepali currency - Rupees. They also accept y our credit cards. Wilderness Excursion Pvt. Ltd works for the fulfillment of your every wish that you expect from our travel packages. With this motive we work with honest and due attention to our respected client. However, in case of the journey broken off and early return upon client´s own wish or any other reason such as injury, illness, non interest or changed weather/environmental and political conditions, Wilderness Excursion Pvt. Ltd shall not be liable to any refund of the days not utilized. Any extra cost thereof shall bear by the client themselves. Note down: Flight delay is notorious while flying to some remote parts of Nepal like Lukla, Jomsom, Jumla, Taplejung and Tumlingtar due to unpredictable mountain weather circumstances. The day is so windy that is why flights operate only in the morning in those destinations. 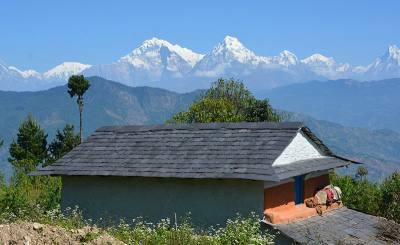 Please allow few spare days when trekking in Nepal. Wilderness Excursion Pvt. Ltd has no liability for the loss, damage, delay, inconvenience, or direct or consequential loss, however caused, unless due to our employees´ negligence, in which case our liability is limited (except for death or personal injury) to a maximum of the refund of the tour cost. We do not own or manage the vehicles, accommodation, and restaurants used and we have no liability for loss or damage caused by the proprietors or operators thereof. All clients are personally responsible for holding valid passport, visas and other personal travelling documents. All the foreigners except Indian should have valid passport and visa while entering Nepal. The visa can be obtained on arrival to Tribhuvan International Airport or the check points at border. See http://www.nepalimmigration.gov.np for more information about Visa to Nepal. Wilderness Excursion shall not responsible if the clients do not hold valid passport and relevant visa. The client should acknowledge that Nepal is adventure destination where most of tourists come for adventure activities like trekking, climbing, rafting, canyoning, mountain biking etc. 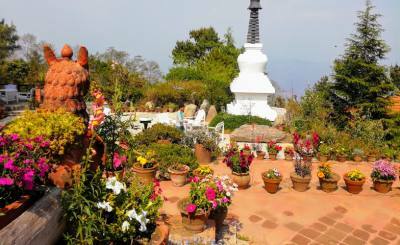 Wilderness Excursion strongly advises to our clients to consult their doctors before they come to Nepal. 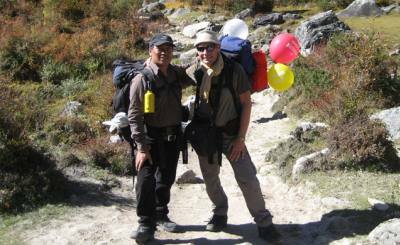 However, our guides are trained with first aid training and they carry basic medical kit during the trekking for our client’s safety for adventure trekking. Clients those just using our guide and porter hire services and vehicles arrangement should have their own medical supplies. Prices can go up or down. We will give you the prices accurate but sometimes some factors may influence the prices. In such conditions we reserve the right to increase the price of your accommodation after you have booked but no later than 30 days before the arrival date stipulated and will forward an Amendment Invoice reflecting any changes made. After a Confirmation Invoice has been sent to you, any increase to your accommodation price will be as the result of changes in our costs of supplying your accommodation resulting from currency fluctuations and government actions. An administration charge and any relevant travel agent’s commission is included within these amounts. We, Wilderness Excursion Pvt. Ltd strongly recommend to its client to get insurance in their home country before they book our travel packages. The insurance should covers cancellation, accidents, health, emergency evacuation, and loss of items, theft of or damage to baggage and personal life. Period before departure within which written. Notice of cancellation is received - % of total booking price.